Michael Inadequate. Having issue with php settings i.e. changing max size in admin to larger than 24m. zend_extension=/usr/local/php56/lib/php/extensions/ioncube.so...Inadequate. Having issue with php settings i.e. changing max size in admin to larger than 24m. I have discovered this due to the fact we wished to increase the size of files to be uploaded to a larger value. Now if upgrading the php to 7.x fixes it, I'm all for that, but due to what is being returned from their troubleshooting php I also want to make sure they get their component fixed and am also trying to support them with as much knowledge as possible. Check whether your server and Joomla settings meet JomSocial's system requirements. MySQL	5.0.4	5.0.4 or higher	5.6.41-84.1-log	PHP should be running on Apache / nix system	Please contact your hosting provider and ask them to upgrade Apache to the minimum required version. PHP	5.3.1	5.3 or higher	5.6.32	PHP should be running on Apache / nix system	Please contact your hosting provider and ask them to upgrade PHP to the minimum required version. PHP	imagecreatefromjpeg	imagecreatefromjpeg	Supported image function	Please contact your hosting provider and ask them to install this function on your server. PHP	imagecreatefrompng	imagecreatefrompng	Supported image function	Please contact your hosting provider and ask them to install this function on your server. PHP	imagecreatefromgif	imagecreatefromgif	Supported image function	Please contact your hosting provider and ask them to install this function on your server. PHP	imagecreatefromgd	imagecreatefromgd	Supported image function	Please contact your hosting provider and ask them to install this function on your server. PHP	imagecreatefromgd2	imagecreatefromgd2	Supported image function	Please contact your hosting provider and ask them to install this function on your server. PHP	curl	curl	7.53.0-OpenSSL/1.0.2k-1.2.3	Used for Video Linking and Facebook Connect	Please contact your hosting provider and ask them to install this library on your server. PHP	max_execution_time: 30	max_execution_time: 300	45	Check your php.ini file	Please open the php.ini file and change the value of this variable to the minimum requirement. If you cannot do it yourself or if you do not have access to this file, please contact your hosting provider and ask them for assistance. PHP	max_input_time: 30	max_input_time: 300	60	Check your php.ini file	Please open the php.ini file and change the value of this variable to the minimum requirement. If you cannot do it yourself or if you do not have access to this file, please contact your hosting provider and ask them for assistance. PHP	memory_limit: 128M	memory_limit: 1024M	128M	Check your php.ini file	Please open the php.ini file and change the value of this variable to the minimum requirement. If you cannot do it yourself or if you do not have access to this file, please contact your hosting provider and ask them for assistance. PHP	post_max_size: 10M	post_max_size: 4096M	32M	Check your php.ini file	Please open the php.ini file and change the value of this variable to the minimum requirement. If you cannot do it yourself or if you do not have access to this file, please contact your hosting provider and ask them for assistance. Inadequate. Having issue with php settings i.e. changing max size in admin to larger than 24m. Troubleshooting returns are not consistent with actual php.ini settings ie: max_input_time = 120 max_execution_time = 120 upload_max_filesize = 4096M post_max_size = 4096M memory_limit = 1024M zend_extension=/usr/local/php56/lib/php/extensions/ioncube.so zend_extension=/usr/local/php56/lib/php/extensions/ZendOptimizer.so I have discovered this due to the fact we wished to increase the size of files to be uploaded to a larger value. Now if upgrading the php to 7.x fixes it, I'm all for that, but due to what is being returned from their troubleshooting php I also want to make sure they get their component fixed and am also trying to support them with as much knowledge as possible. 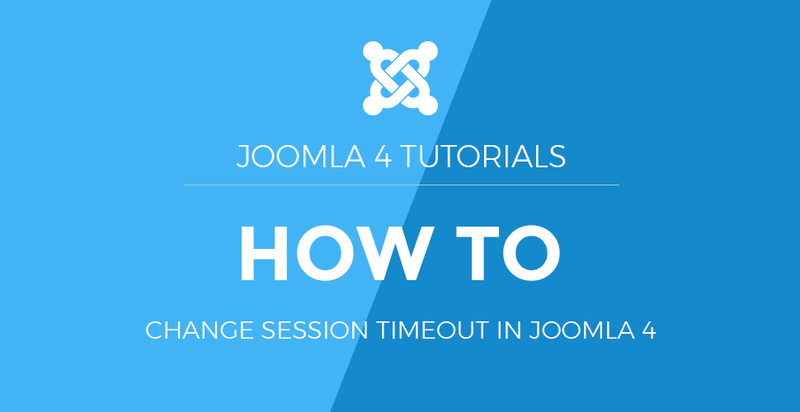 troubleshooting returns: Check whether your server and Joomla settings meet JomSocial's system requirements. Minimum required	Recommended	Current	Description	Help MySQL	5.0.4	5.0.4 or higher	5.6.41-84.1-log	PHP should be running on Apache / nix system	Please contact your hosting provider and ask them to upgrade Apache to the minimum required version. PHP	5.3.1	5.3 or higher	5.6.32	PHP should be running on Apache / nix system	Please contact your hosting provider and ask them to upgrade PHP to the minimum required version. PHP	imagecreatefromjpeg	imagecreatefromjpeg	Supported image function	Please contact your hosting provider and ask them to install this function on your server. PHP	imagecreatefrompng	imagecreatefrompng	Supported image function	Please contact your hosting provider and ask them to install this function on your server. PHP	imagecreatefromgif	imagecreatefromgif	Supported image function	Please contact your hosting provider and ask them to install this function on your server. PHP	imagecreatefromgd	imagecreatefromgd	Supported image function	Please contact your hosting provider and ask them to install this function on your server. PHP	imagecreatefromgd2	imagecreatefromgd2	Supported image function	Please contact your hosting provider and ask them to install this function on your server. PHP	curl	curl	7.53.0-OpenSSL/1.0.2k-1.2.3	Used for Video Linking and Facebook Connect	Please contact your hosting provider and ask them to install this library on your server. PHP	max_execution_time: 30	max_execution_time: 300	45	Check your php.ini file	Please open the php.ini file and change the value of this variable to the minimum requirement. If you cannot do it yourself or if you do not have access to this file, please contact your hosting provider and ask them for assistance. PHP	max_input_time: 30	max_input_time: 300	60	Check your php.ini file	Please open the php.ini file and change the value of this variable to the minimum requirement. If you cannot do it yourself or if you do not have access to this file, please contact your hosting provider and ask them for assistance. PHP	memory_limit: 128M	memory_limit: 1024M	128M	Check your php.ini file	Please open the php.ini file and change the value of this variable to the minimum requirement. If you cannot do it yourself or if you do not have access to this file, please contact your hosting provider and ask them for assistance. PHP	post_max_size: 10M	post_max_size: 4096M	32M	Check your php.ini file	Please open the php.ini file and change the value of this variable to the minimum requirement. If you cannot do it yourself or if you do not have access to this file, please contact your hosting provider and ask them for assistance. PHP	upload_max_filesize: 10M	upload_max_filesize: 4096M	24M	Check your php.ini file	Please open the php.ini file and change the value of this variable to the minimum requirement. If you cannot do it yourself or if you do not have access to this file, please contact your hosting provider and ask them for assistance. Forum is official support channel to get tech support. Hi Kindly post the issue on our support forum here www.joomlart.com/forums/jomsocial Forum is official support channel to get tech support.